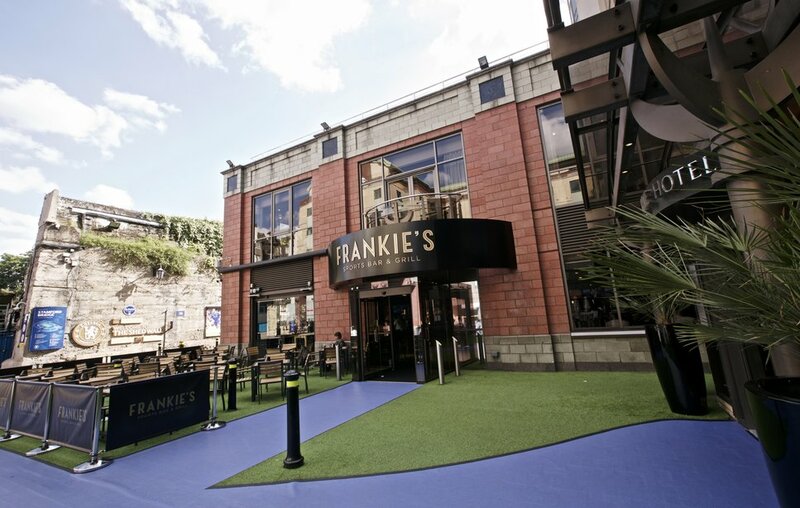 With the start of the premier league season, it was only fitting to write a review for Frankie’s Sports Bar & Grill in the grounds of the Chelsea Football Club. The premier league is renown the world over, but people like my parents who want to experience the excitement of such an illustrious club without the crowding worries of attending an actual match can now visit this sleek venue. Most football clubs tend to be at more out of town sites. Chelsea, however, is one of the most centrally located clubs in the world in the heart of vibrant Fulham. The sports bar is easily accessible as it is by the main entrance and has an incredibly welcoming vibe. 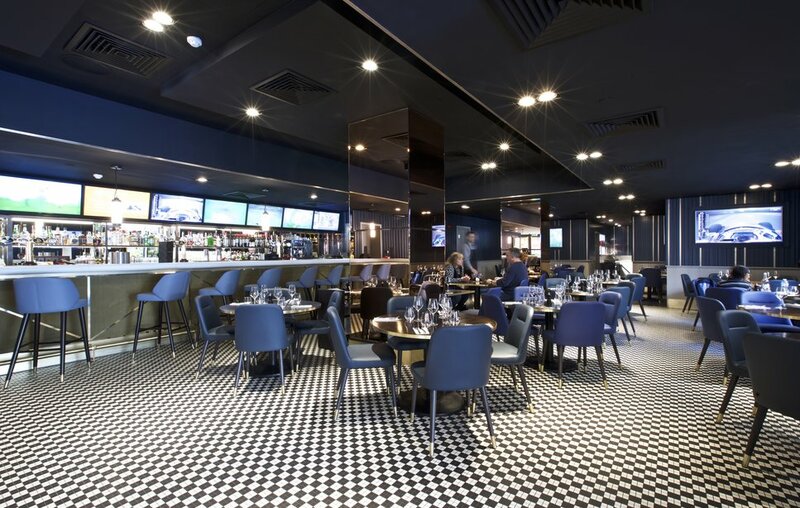 Unsurprisingly, the predominant colour is blue and there are 16 large plasma screens dotted throughout the space showing live sports across many disciplines. The menu isn’t going to win any awards for being groundbreaking, but they do execute the classics very well here. Crayfish cocktail had perfectly chilled, high-quality shellfish meat flavoured with a particularly spicy Marie-Rose sauce with plenty of vegetables like red chicory, baby gem, and fennel. Kebabs are forever linked with football clubs, but the grilled lamb mini-koftas served with an invigorating tzatziki here and warm flatbread is a class above your street food variety. I ate this certain that a higher percentage of the dish was quality lamb meat compared to what you might get from a street vendor and as people say, good things do come in small doses. 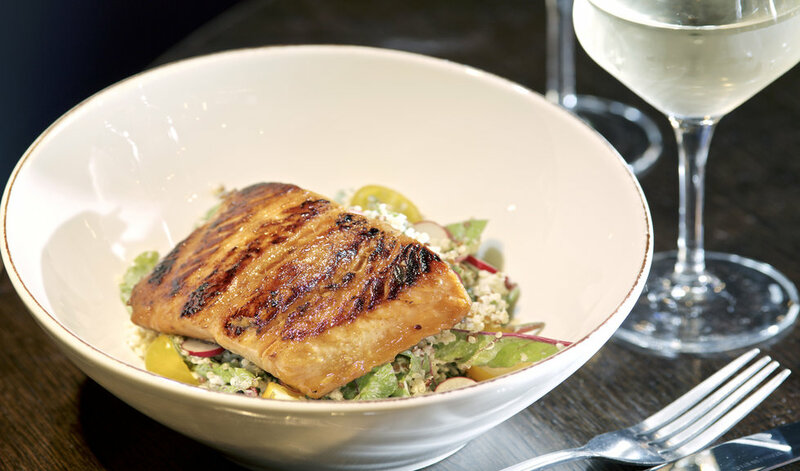 For the main courses, they do have more nuanced dishes like miso salmon fillet with quinoa salad but we wanted to try a selection of meat dishes as it looked like undoubtedly that was what they specialised in. My father opted for the baby back ribs, knowing the tastiest meat are the ones by the bone and it didn’t disappoint with the meat falling off in a tender way with minimal effort and was well-seasoned with a BBQ glaze. My mother went for the classic 6oz burger and it was generously portioned like most of the dishes here. The patty was marginally on the dry side but did combine well with the melted cheese, house relish, lettuce and plum tomato, red onion, pickle and finished off with a suitably fluffy brioche bun. 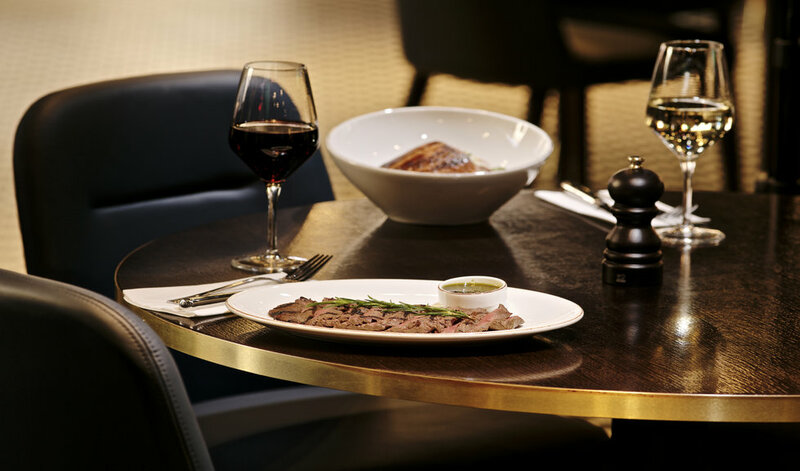 I wanted to order a dish from their chargrilled section and each dish comes served with roasted cherry tomatoes, grilled gem and your choice of homemade sauce along with different types of chips or jacket potato. Rather than opting for a typical steak, I chose lamb chops which were well-marinated with rosemary and lemon. The chops were relatively thick, had substance yet still tender tasting. By this stage, we were happily satiated, but for those with a bigger appetite, they do have a tempting list of dessert options like glazed dark chocolate mousse bar and lemon verbena pannacotta.